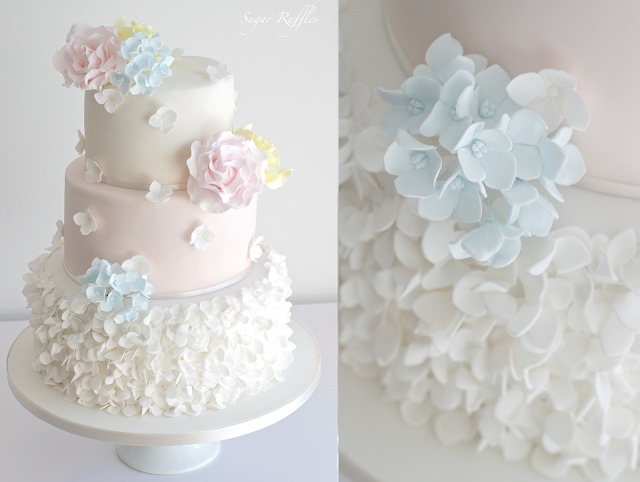 Wedding cake with petal ruffles, yellow and pink roses and blue hydrangea sugar flowers. Delivered to Inn on the Lake for the wedding of Tori and Neil. Congratulations to the happy couple!